Top of the line 1st floor condo in South Park. Living all on one level (no stairs). This 2 bedroom 2 bedroom condo has it all. 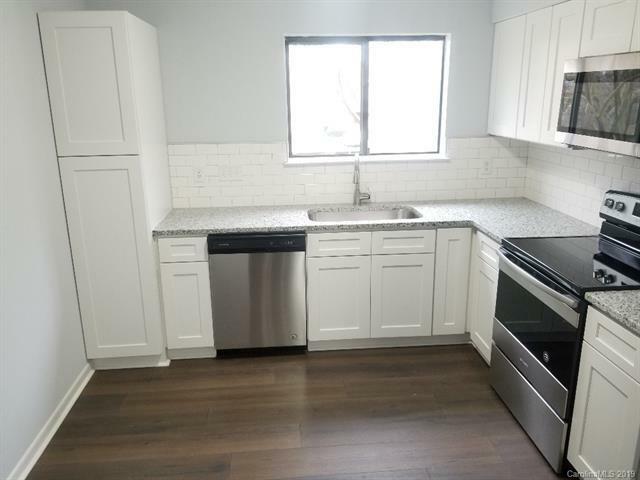 Amazing kitchen with NEW soft close white shaker cabinets, subway tile back-splash, stainless steel appliances, granite counters, all new. New garbage disposal. Open floor-plan with no carpeting. New Tile flooring in both bathrooms and laundry area. New Custom tile surrounds around both bathtubs. New plumbing and lighting fixtures. New Wide Plank laminate wood flooring in bedrooms and common areas. Large bedrooms with walk-in closets. Both bathrooms feature new vanities and toilets. Fresh paint throughout. HVAC replaced Summer 2018. Great location minutes from everything in South Park and close to uptown and I77.